Lot 32 - The AVERY B - 9934 Fox St. Lot 33 - The DOUGLAS E - 9950 Fox St. Lot 34 - The ELLIOTT - 9966 Fox St. Lot 35 - The AVERY B - 9986 Fox St. Lot 38 - The CONCORD - 10035 Elk St. Lot 60 - The AVERY B - 9995 Fox St. Lot 61 - The LONDON - 9973 Fox St. Lot 62 - The COLUMBUS - 9949 Fox St. Lot 63 - The ELLIOTT - 9931 Fox St. Lot 64 - The LONDON - 9917 Fox St.
Where is Flowers Meadows in Aumsville? 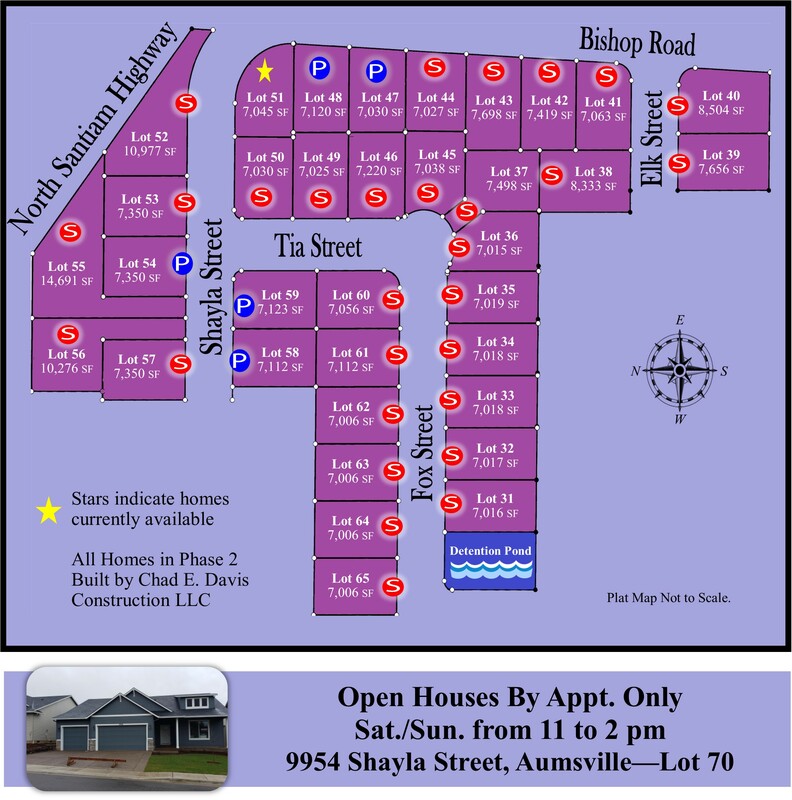 Where is Clover Court in Aumsville?